From a community perspective, a successful project must be defined as one that maximizes the learning and economic opportunities for residents and, at the same time, delivers a finished product that meets commercial construction standards. 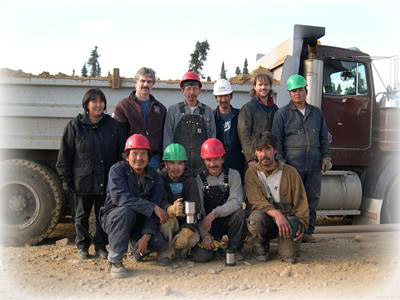 During the past twenty plus years, Summit has managed the construction of over 60 force account projects, all built to commercial standards, using 98% local labor and community owned equipment. These projects compare very favorably with similar private sector projects that are built by general contractors using 98% imported labor and equipment. During mobilization and construction, a superintendent is based in the community for the full work season. The members of Summit's pool of superintendents each carry current First Aid/CPR and CESCL certifications and possess the skills necessary to safely manage all site work, and to direct and train the local labor force. 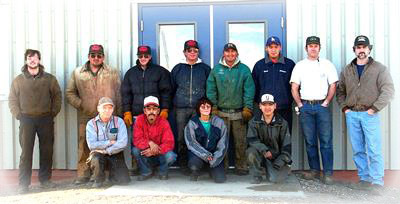 Their broad work experience in rural communities ensures an effectively managed crew and a finished work product of high quality. Each superintendent schedules, directs, and monitors all on-site project activity including interviewing and hiring the local crew. The superintendent is directly responsible for executing the scope of work based on the plans and specifications and becomes familiar with OSHA standards to ensure that the entire project is carried out in accordance with those standards and with Summit's Safety Plan. The superintendent maintains regular contact with the project manager and transmits a Daily Report to the appropriate managing office each day complete with the man-hours expended, equipment use data, productivity unit data, and a brief written summary of job progress. This communication also includes regular teleconferences with the project manager to discuss project status, quality control, safety issues, job problems and general strategy. Summit has a well-established process in place for employing local residents, which is fine-tuned to fit the needs of each community. Under force account methods, the project work force comes predominantly from the community. Outside employees are limited to the superintendent and in some cases licensed tradesman. Only on rare occasions are skilled workers imported from outside the community. To identify and quantify the skill levels of local residents, the community is asked to compile a list of individuals, sorted by skill type, who are interested in working on the project. Prior to project startup, interviews are conducted and short lists for initial hire developed. Wage Rates are usually determined using the State's AO 199 directive which uses an accumulated hour based percentage of the Laborers' & Mechanics' Minimum Rates of Pay (Pamphlet 600) from the Department of Labor Standards. If there is no record of current wage rates for the area, Summit will suggest a wage scale for the positions. A Wage Rate & Employment Conditions Agreement is drafted and reviewed with the community at the pre-construction meeting. Each employee is required to read and sign the agreement as part of the hiring package before beginning work. The result of a successfully completed force account project is a local work force whose skills increase significantly and who emerge with greater opportunities for future employment. Effective on-the-job training is an integral component of force account construction and is an important element of all projects managed by Summit Consulting. Our superintendents invest the time necessary to train and cultivate a local crew that can construct each project component to commercial standards. In addition to the superintendent's expertise, Summit can provide references to professional training and certification programs, as well as provide pipe fusion training in-house. Summit's force account approach has been utilized on nearly all of our projects. Few difficulties have been encountered and the process is quite effective in hiring a capable local crew and managing it successfully. Our project track record illustrates a high degree of success using this method, and we are eager to continue applying this unique experience and technique in rural Alaska.